Many of us have a very common, but bad habit-the habit of postponement, the most obvious obstacle to achieve SUCCESS. Most of us live with this habit till it bothers us. Even the most important decision of life-our career -where we spend most of our youth, we postpone. A student of class 9th postpones the decision thinking when I will be 10th I will take the decision, after all the stream choice happens after that. After one chooses the stream after 10th, he/she thinks that let me focus on my stream and most popular career and will choose other career/s if I fail to get in. When a student reaches class 12th , he/she thinks that let the admission forms come or let me finish my examination then I will think. And many of us postpone the decision till graduation. We generally postpone the career decision making because of lack of knowledge about the careers, feeling of uncertainty for career success, the influencers we have, and sometimes it is our ego which leads us to choose the career path which are popular or “less travelled by others”. Also many students are determined to take the path which is different and creatively loaded (they say so) but do not know what courses they should focus on to go ahead with the decision. Although career planning is continuous, one would certainly do well when one plans early. If you are also a student or parent of a student and have not yet planned the following pointers will help you choose the course/career which would use your best strength, motivate you to put more and more effort and help you to reach success quickly and easily. Well in that case, nothing happens, but at least you are aware what are the challenges for you and you may learn certain skills to overcome the challenges. The struggle in achieving success may be less as you would know how to tackle the task or situation if it is not matching to your aptitude and personality traits. The other possible scenario is that you may learn after the assessment that you are competent in many ways and you are taking the career which will not utilize many of your strengths, so you might get de-motivated and experience less success. So it is best to know about your strengths. You may be the person who can do many careers equally well. 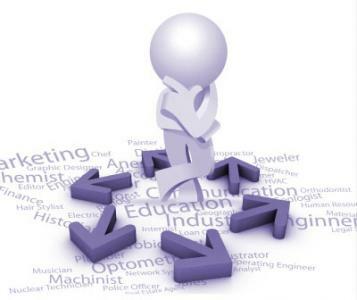 You need to choose the career that matches your aptitude as well as your personality traits. After you know your priority, read all information pertinent to these career/s. Talk to an expert or the person working in the chosen field, visit the work place if it is possible and then take decision. 3) Plan well the road ahead. Select the course, select the institute, and know the eligibility criteria, the number of years it takes to complete the course, the money you have to spend, placement, the reputation of the institute, the faculty etc. Sometime while selecting the course you need to also think the course you will be taking requires a location advantage or not. Spend time thinking about the above three point and carefully plan your career after 12th. This will probably assure your future career success!! Find out which course will be best for you after 12th !